When things feel chronically difficult, it’s easy to start to feel like it’s not supposed to happen. It’s tempting to take the path of least resistance, even if it means backing off a goal. But life doesn’t present obstacles to deter us, it presents obstacles to challenge us, to grow our wheelhouse of skills, to make the victory that much sweeter. If you have to work hard to achieve something, it’s usually worth it. Don’t back off. Push through. 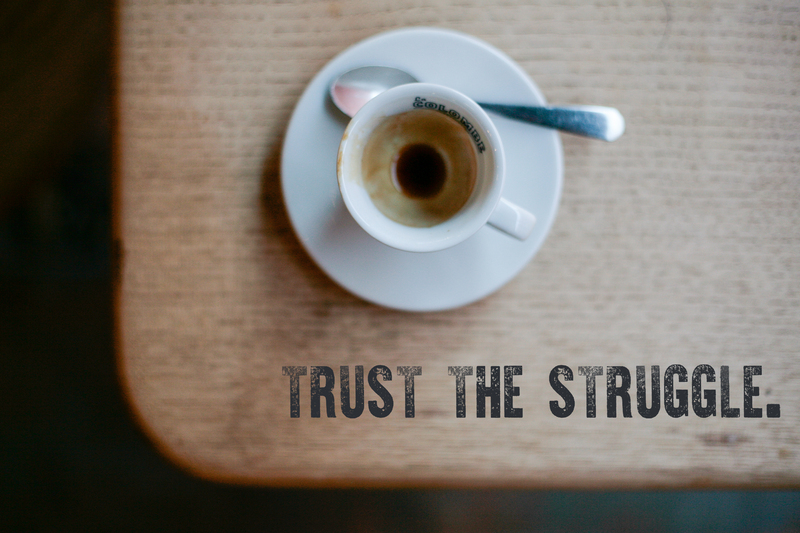 Trust the struggle.